1. Menachem Ussishkin was born in Dubrovno in the district of Mogilev, now in Belarus, in August, 1863. The family moved to Moscow in 1871, and he graduated as a technical engineer from Moscow Technical Institute in 1889. 2. While in school he was among the founders of the Society of Pioneers to Eretz Yisrael and active in other Zionist movements. He made his first trip to Palestine in 1891 and wrote a booklet of his impressions. He attended the very first Zionist Congress in 1897 and served as its secretary. At the second Zionist Congress he was elected to the General Council, a position he held for the rest of his life. 3. He viewed agricultural settlement in Palestine as essential. Purely political Zionism, he felt, might rouse the Turkish authorities against Jews; therefore, he promoted cultural activities and settlement. He went to Palestine for the second time in 1903, following the Kishinev pogrom, and for the third time in 1913. He bitterly opposed the Uganda scheme. 4. In 1919, he made aliyah. 5. He was appointed head of the Zionist Commission in 1920. His pamphlet, “Our Program,” laid out a 5-point plan involving political action, acquisition of land, aliyah, settlement and educational and organizational work. This influenced the Zionist emphasis on agricultural settlements and on educational and cultural institutions, especially the Technion. It gave rise to the Second Aliyah, so that work could be done without help from “hired laborers” [read: Arabs]. 6. He was good at negotiation, finding compromise between intransigent opponents: At a clash between orthodox and liberal factions of Hovevei Zion at the Druzkieniki Conference in 1887; at a meeting of settlers with Baron Edward de Rothschild protesting what were considered his paternalistic methods. In 1908, he went to Turkey during the revolution of the Young Turks to try to influence that government in favor of the Jews and Zionism. 7. He was one of the delegates to the Paris Peace Conference at the end of the first world war. On February 17, 1919, he addressed the peace conference in Hebrew. 8. In 1923 he was elected president of the Jewish National Fund. He spearheaded major land acquisitions in the Hefer, Jezreel and Beit She’an valleys. A tireless fundraiser, he increased JNF’s income from 70,000 to 600,000 pounds and its properties from 22,000 to 561,000 dunams. In 1939, when JNF purchased land in the upper Galilee, a series of settlements were founded called Mezodot Ussishkin (Ussishkin Forts). Today, there is a Beit Ussishkin nature museum in Galilee. 9. As early as 1912, he had spoken at Hovevei Zion of the need for a Hebrew University and put through a resolution to allocate 50,000 gold francs for acquisition of land on Mount Scopus. He was there in 1925 at the inauguration of the university and sat on its Board of Trustees and Executive Council. 10. He died in Jerusalem in 1941 at the age of 78. He is buried in Nicanor’s Cave at the botanical gardens of the Hebrew University on Mount Scopus. Tel Aviv’s Ussishkin Street is found near the old port. 1. Bialik was born in the village of Radi in the Ukraine in January 1873. In 1880, his father died, and he was sent to Zhitomir to be raised by a stern grandfather. He had a traditional Jewish education, but was attracted to enlightenment ideas, which he explored on his own while attending a Talmudic academy in Lithuania. 2. At the age of 18 he went to Odessa, then the center of modern Jewish culture in the Ukraine. He studied Russian and German and earned a living by teaching Hebrew. He joined Hovevei Zion (Lovers of Zion) and was befriended by Ahad Ha’am (see my blog post of April 21), who influenced his Zionism. In 1892, his first poem was published – “El Hatzipor” (To the Bird), a lyric of longing for Zion. His first volume of poetry appeared in 1901, to great critical acclaim. 3. Following the Kishinev pogrom, he was commissioned by the Jewish Historical Society of Odessa to interview survivors. His famous poem “In the City of Slaughter” came out of that experience. It reflects the poet’s anguish at the absence of justice and the indifference of nature, but it also condemns the Jews who did not defend themselves. His bitterness against this passivity is said to have influenced the formation of Jewish self-defense groups across Russia. The degeneration of the Jewish nation in exile and the possibility of a new destiny became hallmarks of Bialik’s national poetry. 5. With a group of friends, he established a Hebrew publishing house which issued classics and school texts. He, himself, translated into Hebrew such texts as Shakespeare’s Julius Caesar, Schiller’s William Tell, Cervantes’ Don Quixote, and poetry by Heine. In addition, he edited the poems of Ibn Gabirol (see my post of January 23) and of Moses ben Ezra. 6. With Y.H. Ravnitzky, he published The Book of Legends (Sefer HaAggadah, 1908-11), a 3-volume edition of the folk tales and proverbs scattered through the Talmud and midrashic literature. 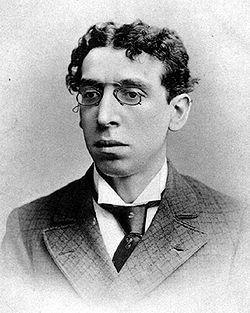 For him, this project was the ingathering of Jewish literature which he felt would lead to the development of a Jewish national consciousness. 7. Following the Bolshevik Revolution, he obtained permission to leave the country. He moved to Berlin, where he joined a group of well-known authors and publishers who met at the Cafe Monopol, which had a Hebrew-speaking corner. Bialik was a luminary among luminaries in Berlin, which was a center for Yiddish and Hebrew publishing in the early years after the first world war. In January 1923, Bialik’s 50th birthday was celebrated in the old concert hall of the Berlin Philharmonic, bringing together everybody who was anybody. 8. He founded the Dvir publishing house, which was later to put out the first scientific journal in Hebrew. 9. In 1924, he made aliyah and settled in Tel Aviv. He delivered the address that marked the opening of the Hebrew University in Jerusalem, and he served on its Board. In 1927, he became the head of the Hebrew Writers Union, a position he held for the rest of his life. On his 60th birthday, there were celebrations nationwide, and school children were brought to him to pay their respects. 10. Most of his poetry was written before 1908. In addition to nationalistic poetry calling for a reawakening of the Jewish people, he wrote love poems both tender and passionate, nature poems rich in imagery, and charming songs for children. In his personal poetry, he struggles with the conflicts of modernism, particularly his own ambivalence toward tradition vs. the enlightenment. His poetry is marked by a staggering array of Jewish sources, from the Bible, through Talmud and midrash, to medieval and modern poetry. He quotes, he paraphrases, he uses them in misplaced contexts. For example, his “Scrolls of Fire” (1905), a 9-section prose poem, weaves Talmudic legend, the Song of Songs, memories of a childhood fire, and an extramarital affair. 11. By writing in Hebrew, when it was far from clear that Hebrew would be the language of the Jewish community, he contributed significantly to the revival of the language. He pioneered free verse and prose poetry in modern Hebrew. He was always conscious – as storyteller, editor, publisher, translator, compiler and commentator – of forming a national identity. Two streets in Tel Aviv are named after the poet – Bialik Street and Hen Boulevard. In addition, there’s Kiryat Bialik, a suburb of Haifa, and Givat Hen, a moshav bordering Raanana. 1. 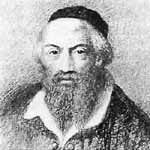 Moses (Moshe) Isserles was born in February 1520 in Cracow, Poland, the son of a prominent, independently wealthy talmudist and grandson of Jehiel, Luria, the first rabbi of Brisk. 2. In 1550, he established a large yeshiva where the pupils could attend free, supported by his wealth. His teaching stressed simple interpretation of the Talmud, free of pilpul. He served as rabbi of Cracow for 22 years, becoming known across the Jewish world as an authority on Halachah. 3. He was learned, too, in Kabbala; and, like his intellectual forebear, Moses Maimonides, he studied history, astronomy and philosophy. 4. He is best known today as the author of HaMapah, which means “The Tablecloth” – so called because it’s a commentary on the compilation of Jewish law entitled the Shulchan Aruch, the set table. 5. The Shulchan Aruch was chiefly Sephardic in its orientation, based on Sephardi legal traditions. Isserles provided an Ashkenazic gloss based not only on law, but on customs of the Ashkenazim. He regarded custom (minhag) as the basis for his work. 6. Since 1578, editions of the Shulchan Aruch have included the HaMapah glosses. 7. Isserles is known, too, for Mechir Yayin, a philosophical treatment of the Book of Esther as an allegory of the struggle between the soul and the body, the spiritual and the sensual. 8. He died on Lag B’Omer in May of 1572, and was buried next to his synagogue. Written on his tombstone: “From Moses to Moses there was none like Moses” – the first Moses being Maimonides, the second Isserles. 9. You might find him referred to as the Rema, an acronym for Rabbi Moses Isserles. His descendants include Felix Mendelssohn, Giacomo Meyerbeer and the statistician Leon Isserlis. Tel Aviv’s Isserles Street is found in Ramat Gan . He dealt with Nazis to save Jews – and may have died for it. 1. He was born in 1899 in Romny, Ukraine. He was known there as Vitaly (the Russian equivalent of Haim); in 1905, he became known as Viktor when, in the wake of pogroms, the family moved to Germany. Also, you might find his last name spelled Arlozorov. 3. 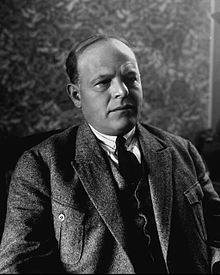 In 1919, he wrote “Jewish People’s Socialism.” Much like Borochov (see my blog post of April 10) he advocated a socialism that embraced a national consciousness. He believed that if the Jews had a national homeland, ancient Biblical practices could be incorporated into modern agriculture, including Sabbatical and Jubilee years. 4. In 1921, when visiting Palestine for the first time, he witnessed an Arab riot against the Jews. The experience led him to focus on Arab-Jewish relations. Recognizing the legitimacy of an Arab nationalist movement, he advocated strength-based compromise with the Arabs. 5. In 1923, at the age of 24, he was elected to the Zionist Action Committee at the Zionist Congress. By 1926, he was representing the Jews of Israel at the League of Nations in Geneva. 6. He seems to have had a flair for coming into conflict with other Zionists. When Arab riots broke out around the Western Wall in 1929, he criticized Jabotinsky (see my blog post of December 31) and the Betar movement for inciting the trouble. Repeatedly, he warned against trampling on the rights of Arabs. 7. 1930 found him working on the unification of the two socialist parties, Poale Zion and HaPoel HaTzair, into the new Mapai Labor Party. He became Political Director of the Jewish Agency, initially working with the British Mandatory government to help settle Jews in Palestine. His willingness to work with the British brought him into conflict with David Ben-Gurion. 8. Among the Zionists, Chaim Weizmann was still his close friend. On April 8, 1933, at the King David Hotel, Arlosoroff organized a luncheon sponsored by the Jewish Agency and attended by Weizmann, Arab potentates and British leaders. The idea was to forge cooperative relations among the three groups. Not a popular move, it was much criticized by both radical Arabs and religious Zionists of the Mizrachi party. 9. April 1933 also saw Nazi Germany implementing its first Jewish laws. Arlosoroff immediately directed his efforts to the plight of German Jewry. Now viewing the British Mandate as a stumbling block, he sought to cut a deal with Hitler’s henchmen for the mass transfer of Germany’s Jews and their assets. This was opposed by Jabotinsky, who believed an international boycott by Jews was the way to deal with Hitler. Arlosoroff visited Nazi Germany to negotiate the Ha’avara Agreement, which allowed for emigration of Jews to Palestine along with most of their property – though it did involve the export of German goods, for which Jews would receive the proceeds. It is estimated that ultimately over 60,000 Jews escaped the Nazis directly or indirectly through this agreement. In addition, about $100 million was transferred to the British Mandate, helping build infrastructure and purchasing land for Jewish settlements. 10. On the June 16, 1933, two days after his return from Germany, Arlosoroff was assassinated while walking with his wife along the beach in Tel Aviv. He was 34 years old. Upwards of a hundred thousand people are said to have attended his funeral. But who shot him? His right-wing nationalist critics were immediately suspect, having accused him of treason. Two men of the Zionist Revisionist faction, Abraham Stavsky and Ze’ev Rosenblatt, were arrested. Stavsky was convicted, but the conviction was overturned on appeal. 11. The case has never been solved. In 1982, a judicial commission of inquiry, prompted by a bestselling book, concluded that neither Stavsky nor Rosenblatt had anything to do with the murder. 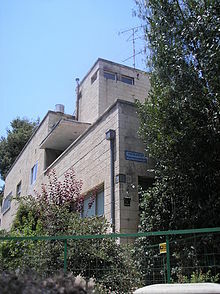 Other theories that were floated at the time of Arlosoroff’s death identified the perpetrators as (1) two Arabs intending a sexual attack upon Arlosoroff’s wife; (2) a possible Soviet connection; and (3) agents of Joseph Goebbels, whose wife Magda had been close friends with Arlosoroff’s sister – it was thought the connection might have been an embarrassment to Goebbels, who in fact ordered his wife’s Jewish stepfather arrested and sent to a concentration camp. 12. A monument eight feet tall commemorates the spot where Arlosoroff was killed. You’ll find it along the beachfront promenade near the Tel Aviv Hilton. Only yards away from it stands a memorial to the fallen warriors of the Irgun, on which you’ll find Stavsky’s name. Stavsky had gone on to rise within the ranks of the Irgun. It was he who procured the ship Altalena, and he died in the 1948 fight over it with the IDF . Are you an amateur sleuth of cold cases? You can find a summary of the police blotter at crankynotions.com/2012/02/27 chaim-arlosoroff-as-the-story-of-israel/. It’s in their February 2012 archive. 1. He was born in London in 1864 to Jewish immigrants from Russia. After attending a school for immigrant Jews, he went to the University of London, where he was awarded a BA with triple honors. He married a gentile feminist, Edith Ayrton. 2. He championed the cause of the oppressed. He was an advocate for women’s suffrage and Jewish emancipation. He was both an assimilationist and a Zionist, an odd combination. 3. 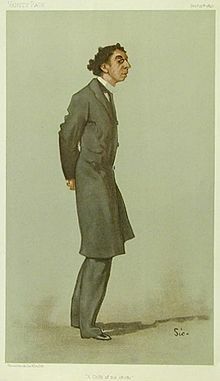 At the start of the 20th century, he was arguably the best-known Jew in the English-speaking world. His novel Children of the Ghetto: A Study in a Peculiar People (1892) was a runaway best-seller. With pathos, humor and great insight, it described the life of immigrant Jews in London’s East End, as well as of wealthier, assimilated Jews in the West End. Of course, it’s a tale of thwarted young lovers. 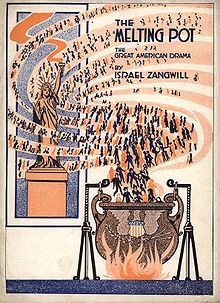 Zangwill made it a play with the same title in 1899. 4. His play The Melting Pot advocated for the end of religious and racial differences, an end which he foresaw coming in the USA. The play was a hit when it opened in New York in 1909. That same year, it went to Washington, DC. Theodore Roosevelt, watching from his presidential box, leaned forward and shouted, “That’s a great play, Mr. Zangwill, that’s a great play.” Later, in a letter dated 1912, Roosevelt wrote to Zangwill that The Melting Pot would always be “among the very strong and real influences upon my thought and my life.” It was last produced in New York in 2006. Other plays by Zangwill included Merely Mary Ann, made into a movie in 1931 starring Janet Gaynor; Nurse Marjorie and The Serio-Comic Governess. 5. His The Big Bow Mystery was the first locked-room murder mystery ever and has been continuously in print since 1891. His fiction about Jewish life included Ghetto Tragedies, Ghetto Comedies and The King of Schnorrers, a picaresque novel of social satire. In addition, he wrote Dreamers of the Ghetto, evoking famous Jews, including Spinoza, Heine, and Ferdinand Lassalle. (Why I like doing this blog: who knew Lassalle was Jewish? Evidently, this German-Jewish socialist changed his name from Lassal to hide his ethnicity. Sure worked with me!) Far from hiding his Jewishness, Zangwill sometimes used Yiddish sentence structure in his writing. 6. He participated in a translation of the Mahzor into English and published a translation of the poetry of Ibn Gabriol (see my blog post about Ibn Gabriol, dated January 23. 8. In 1905, after the defeat of the Uganda Scheme, he broke with Zionism and founded the Jewish Territorialist Organization, with the aim of creating a Jewish homeland anywhere in the world–considering territories in Canada, Australia, Mexico, Mesopotamia and Cyrenaica. Ultimately, he worked with financier Jacob Schiff on the Galveston Plan, which brought 10,000 Jewish immigrants to the US between 1907 and 1914. At the end of his life, Zangwill believed Zionism would not work, both because the Arab presence in Palestine was an insuperable obstacle and because the British mandate gave the Jews no autonomy. 9. He died of pneumonia in 1926. No, the real American has not yet arrived. He is only in the Crucible, I tell you – he will be the fusion of all races, perhaps the coming superman. Fish was indeed the staple of the meal. Fried fish, and such fried fish! With the audacity of true culinary genius, Jewish fried fish is always served cold. The skin is a beautiful brown, the substance firm and succulent. Other delicious things there are in Jewish cookery – Lockshen, which are the apotheosis of vermicelli; Ferfel, which are lockshen in an atomic state; and Creplich , which are triangular meat pasties; and there is even gefullte Fisch, which is stuffed fish without bones – but fried fish reigns above all in cold, unquestioned superiority.